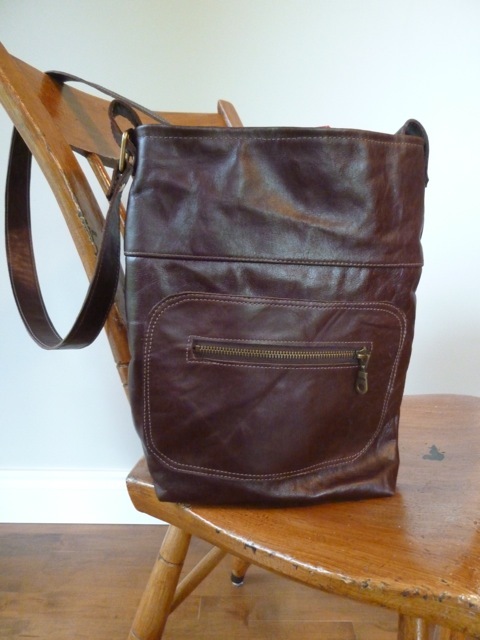 I started making hooked bags with purchased leather straps and gradually began adding leather to make them lighter and more interesting. Then I began making my own straps. 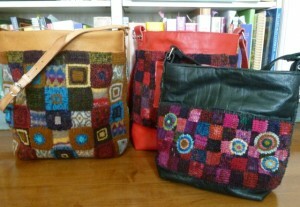 On the right is a selection of my hooked bags. I still love the texture and variation of the hooked bag, but have also become smitten with leather. 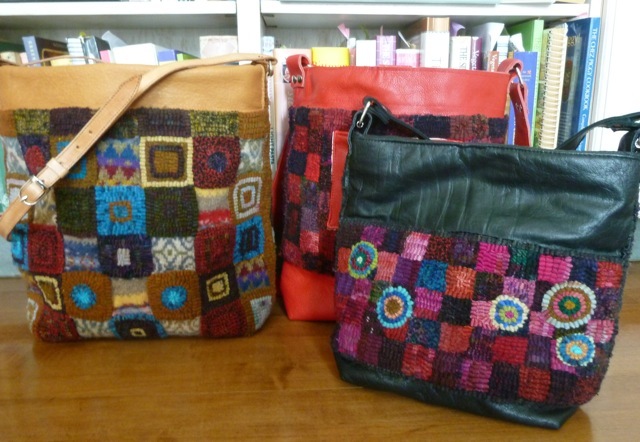 These two bags are made from upholstery remnants and leather jackets. The grape bag is made from a purple leather bomber jacket as well as a small piece of leather upholstery. 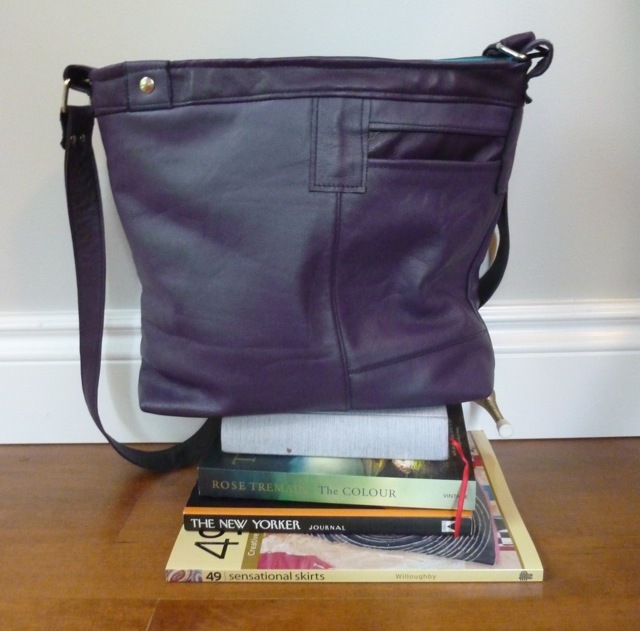 The espresso bag is made entirely from upholstery remnants. The linings are as enjoyable to make as the bags. 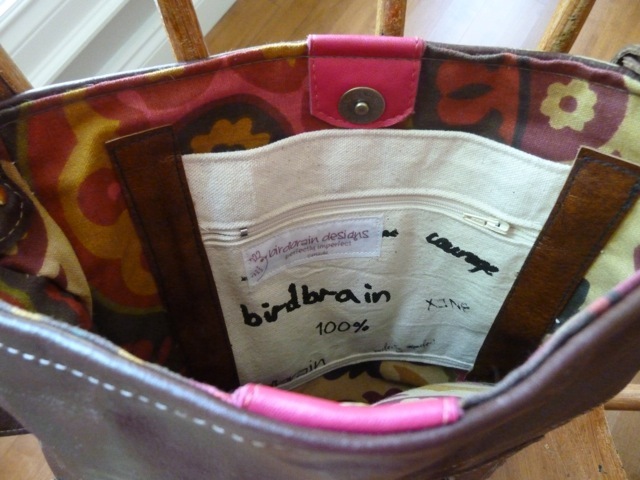 I often use silk screened cotton canvas, but inside the expresso bag is wonderful Waverly fabric. I have been asked how you go about purchasing one of these bags or the canvas bags which I wrote about earlier. If you are interested, please leave a comment with your email. 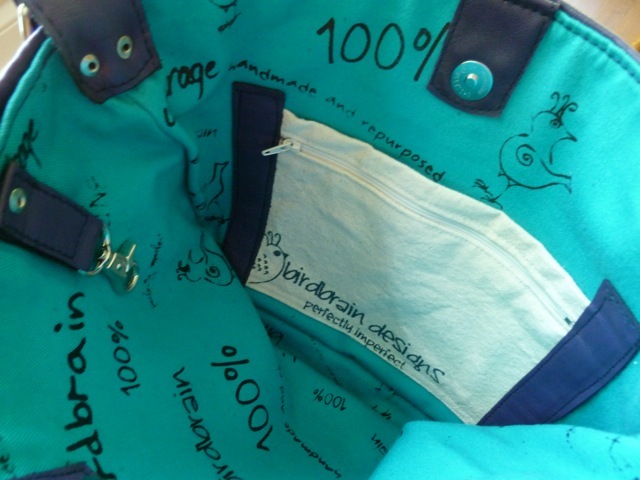 LOOOOOOVE your work and would like to purchase a bag from you. Do you have images of what’s available ?